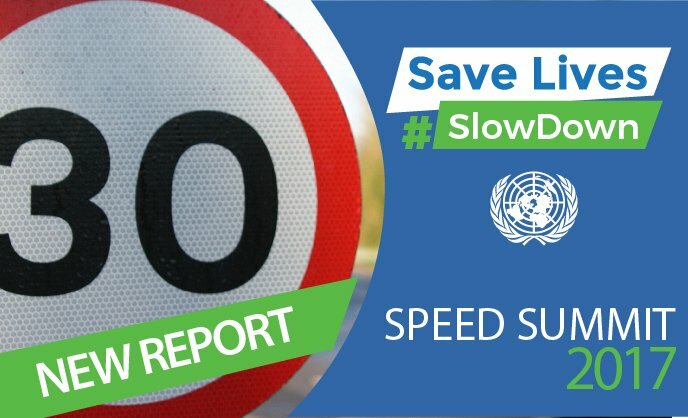 Speed is in the headlights of a team of 10 of the UK’s leading road safety professionals whose expertise is brought together by RoadSafe in Save Lives, Slow Down, a report to mark the UN Global Road Safety Week and published for Road Safety Week. The report debunks some popular myths and urges evidence based solutions to ensure lives are saved and injuries prevented. It is based on a Speed Summit supported by PACTS, the Parliamentary Advisory Council for Transport Safety. The UK has more than 50 stretches of road permanently covered by average speed cameras, amounting to 255 miles under observation. “If a 5% reduction in average speed can result in a 30% reduction in the number of fatal traffic crashes, it is hard to think of any other low-cost intervention that could deliver such a potentially huge reduction in human suffering and economic loss globally,” says Adrian Walsh, Director of RoadSafe, in the foreword. “Managing speed can never be a one-size-fits-all process,” he says. “Cutting the number of fatal and serious, speed-related road crashes must make use of the wide range of effective, evidence-based speed management solutions available. These include safer road design, traffic calming, the purchase of safer vehicles, fitted with intelligent speed assist and autonomous emergency braking, setting appropriate speeds limits suitable for the function of the road, and enforcement to encourage road users to comply with speed limits. For urban roads, the focus for Transport for London is on the 80 per cent of all deaths and serious injuries on its roads that involve vulnerable road users: pedestrians, cyclists and motorcyclists. However, Richard Owen, Director of Road Safety Analysis urges restraint in the rush to introduce blanket 20mph limits in all towns and cities. He says that 20mph zones normally have lower average speed already and achieve compliance and safety improvements through engineering and signing measures. Conversely, signed-only 20mph limits often see poor compliance. Early evidence from the latest and most comprehensive study suggests signed-only-limits result in just a 0.7mph reduction in average speeds. Hundreds of thousands of motorists use England’s motorways every day and the vast majority stick to the speed limits. Safety is Highways England’s first and most significant imperative. The Government has set a target to reduce the number of people who are killed or seriously injured on Highways England’s network by 40% by the end of 2020. Highways England cannot completely eliminate the risk presented by building, maintaining and operating the country’s high-speed Strategic Road Network but it can make sure that those risks are managed effectively and that their potential harm is radically reduced. The report includes a case study of the highly effective average speed camera scheme on the A9 in Scotland which has resulted in a 50 per cent reduction in all casualties and a 33 per cent cut in fatalities.